Croissant Molto with Chocolate 100gr. 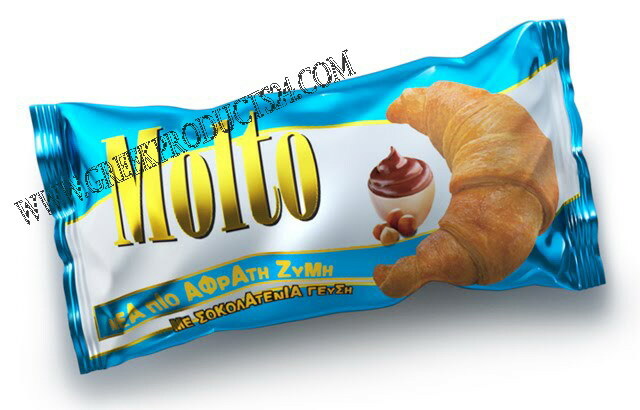 Molto is the No1 croissant because it offers the fluffiest dough with the richest and tasty filling. Croissant Molto Way with Caramel Toffee 80gr. Tsakiris Chips Oregano 100 gr.